Pearl, The Beading Gem, has a round-up of free beaded ornament tutorials for you. 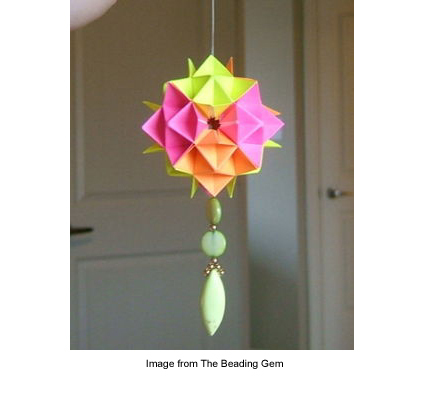 I love the one pictured above that incorporates origami and beads. Pearl says these ornaments are a perfect way to destash your bead collection for any holiday you choose. I think they are a fabulous way to adorn your home with lovely trinkets or to make as gifts! Take a look at the other holiday beaded treasures Pearl has found for you.